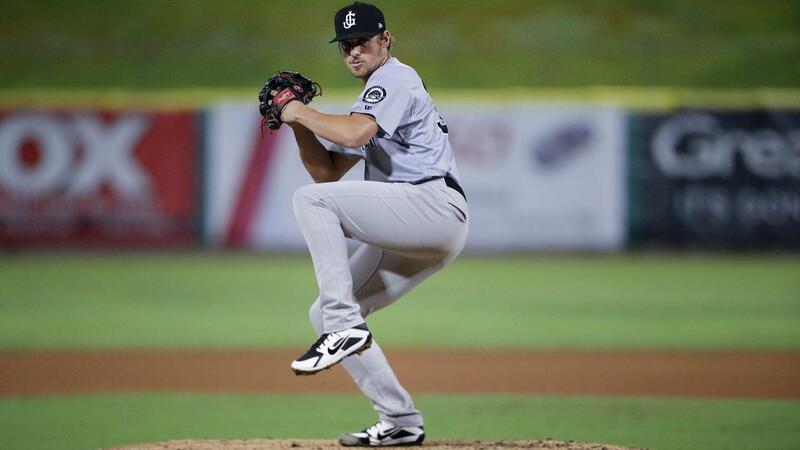 Jackson, Tenn. - The Jackson Generals, the Double-A affiliate of Major League Baseball's Arizona Diamondbacks, were done in by a single fateful swing on Friday night, falling 5-0 to the Chattanooga Lookouts at The Ballpark at Jackson. The Generals (3-5) were shut out for the first time in 2019 despite having 13 opportunities with men in scoring position. Chattanooga (4-3) couldn't do anything with Generals starter Sam Lewis (0-1, 2.16 ERA) throught the first three innings, as the right-hander allowed just one baserunner among the first ten hitters he faced. Lewis advanced into the fifth inning with just one hit allowed, but a pair of walks in the fifth put two men aboard for the top of the order, and Lewis was pulled in favor of Tyler Mark. Mark got a quick pop-up for the inning's second out, but he walked Brantley Bell and Taylor Trammell back-to-back, loading the bases and then bringing home Chattanooga's first run. Mark lapsed into a three-ball count with the ensuing hitter, Ibandel Isabel, and the unfavorable count forced Mark to show his hand. The result was a grand slam to left center field, registering four more Chattanooga runs with the Lookouts' second hit of the night. From there, Mark finished the frame and the one that followed, but the damage left an indelible mark on the game. Lucas Luetge, Kevin Ginkel, and Michael Kohn each threw a scoreless inning of relief after Mark departed. Offensively, Jackson saw an uncharacteristically wild Tony Santillan, who granted them five walks through the first four innings. Nonetheless, Santillan's stuff was still effective enough to induce eight strikeouts in his four innings of work. Jackson got men to second base three times in Santillan's four innings, but could never get the hit they needed to break through. Their last best chance came with the bases loaded in the sixth, but Andy Young grounded out to second base to end the threat. Jackson stranded a season-high 12 men on base and finished 1-for-13 with runners in scoring position. Their run-manufacturing drought continued in light of the shutout: the Generals have now gone 40.1 innings without scoring a run on something other than a homer.